Prime Minister Sh. Narendra Modi on his recent visit to Himachal Pradesh was felicitated by our Chief Minister Sh. 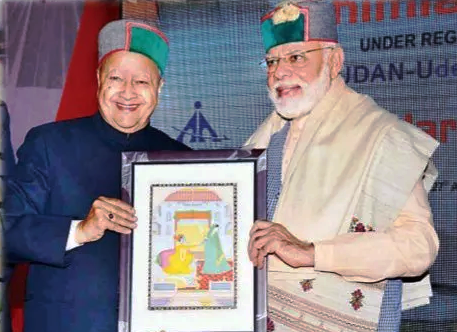 Virbhadra Singh with Kangra Miniature Painting made by our KAPS resident artist Sushil Kumar. It was indeed a proud moment for KAPS team!